Energy Star label due for an upgrade. Green homes sell faster and for a premium. Creative borrowing spurs commercial retrofits. Could poorly performing projects kill green building? Insuring on the sustainable side of the fence. A smarter planet needs smarter buildings. 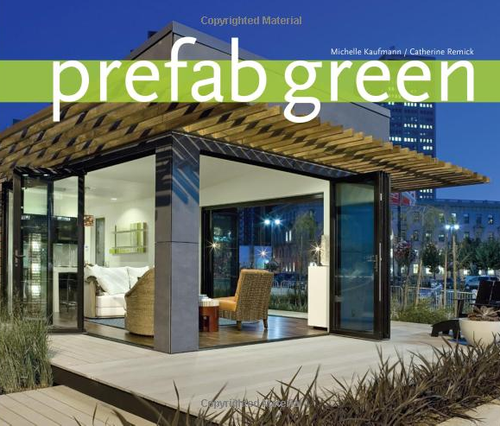 Ideabox's newest prefab model, the Fortino, is on display at the Portland Home & Garden Show this weekend, so you'll want to check it out if you're in the area. The Salem-based prefab company teamed up with Crate & Barrel to design the interior and several landscape designers to transform a 50'x100' show space into a contemporary landscape setting. Jim Russell, president of Ideabox, says it's a complete "living experience" on an urban lot. Our last article on VAST Pavers generated substantial discussion in the comments. The company makes composite masonry with roughly 90-95% recycled scrap tire rubber and plastics. The pavers are light, durable, and apply in a cinch once the proprietary grid has been laid. Up until recently, VAST has been expanding business with a 3″x6″ paver, but now they also have a new 4″x8″ paver that was designed with larger projects in mind. Developer Steve Blanchard set out to build one of the greenest homes in Orange County, and he may just have accomplished that. In fact, this home, the Costa Mesa Green Home, is the first custom residence in the OC to receive LEED Platinum certification. 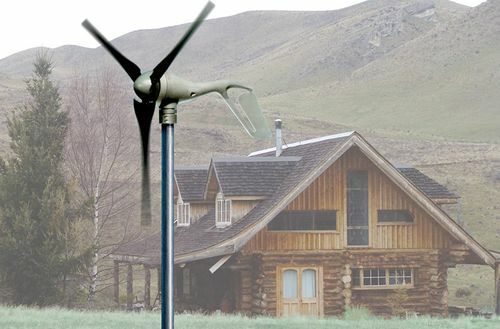 Although 5,000 square feet in size, the home exceeds California Energy Code by 40% and isn’t expected to generate an electricity bill outside of standard add-on fees. 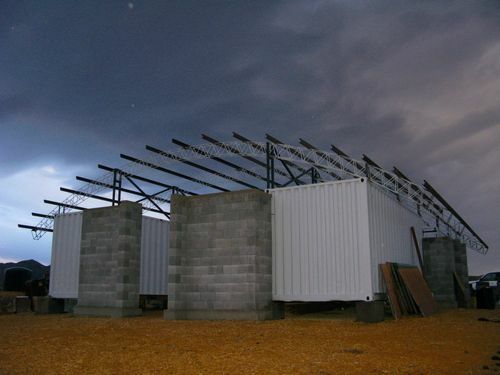 A few weeks ago, we mentioned the strong flat pack prefabs designed by Andrés Duany for Haiti. That effort is moving forward, and we've been able to catch a photo of a built prototype (see above). InnoVida Holdings, LLC, manufacturer of the lightweight fiber composite panels used to build the prototype, today announced plans to build a factory near Port-au-Prince and donate 1,000 of these houses to Haiti. It's a massive endeavor that could lead to the production of 10,000 homes per year and 250 direct jobs in the country.